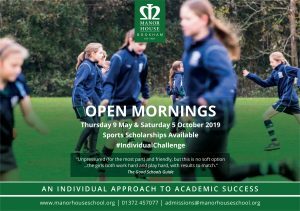 The English Department at Manor House School work very closely together and we pride ourselves in our ability to inspire students with our great enthusiasm for literature and learning. 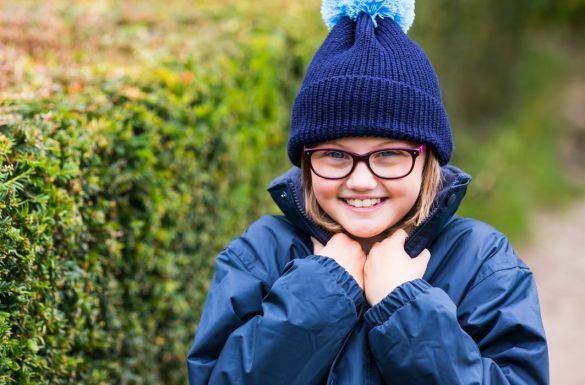 The smaller class sizes enable us to get to know each student extremely well and their academic strengths and needs. This allows us to tailor the English curriculum to suit each girl and assists us in setting regular, measurable targets. We are always looking for new ways to bring literature to life and we often use digital technology and drama activities as tools for teaching and learning. From Year 8, students are divided into sets and this continues throughout their GCSE years, where there are normally three sets in the year group. We make lessons fun and interesting, encouraging students to think for themselves as much as possible and helping them to develop imaginative responses to texts. Our aim as a department is to encourage a genuine love of reading and to introduce students to many different genres. In Year 7, the girls are introduced to the Anglo-Saxon poem ‘Beowulf’ and the work of Chaucer and Shakespeare. They study ‘A Secret Garden’ and Tennyson’s ‘The Lady of Shalott’. Following the introduction of the new GCSE in 2015 and its greater emphasis on technical accuracy, we have increased the focus on spelling and grammar and ensure that SPaG lessons are engaging. By the time students reach Year 10, they will have studied ‘The Tempest’, ‘A Midsummer’s Night’s Dream’ and ‘Romeo and Juliet’. They will have been exposed to 19th Century texts, Dystopian Literature such as ‘Animal Farm’ by Orwell and contemporary novels and poetry. 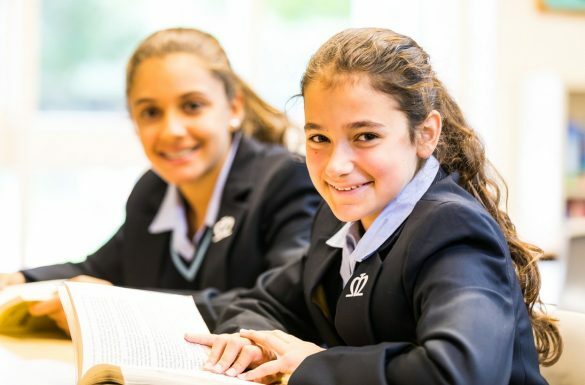 The skills-based approach to our teaching ensures that the girls are extremely well-equipped by the summer term of Year 9 to begin the GCSE Language and Literature courses. Results at GCSE this year were excellent with 96% achieving Grades 9-4 in Language and 100% 9-5 in Literature. 50% of our girls achieved a grade 9-7 in both Language and Literature. We are always exploring new ways to inspire the girls in their study of English. In Years 7 and 8, the girls may see a play or take part in a Shakespeare workshop with professional actors. In Year 9, students head off to the Somme, in conjunction with the History Department, to gain a deeper understanding of World War I Literature. In years 10 and 11 we take the girls on relevant theatre excursions and to ‘Poetry Live’, supporting their study of the Literature course. By the end of Year 11, many of the girls choose to continue to study English Language or Literature for A-level. Reading for pleasure is incredibly important and directly impacts a student’s success in English. We work hard as a department to inspire a love of reading and encourage the girls to recommend favourite reads during regular Library Lessons. The girls enjoy producing their own book reviews in their chosen format, albeit a presentation, i-movie or written review and the most engaging review receives a prize. We run a Reading Incentive Scheme where students receive recognition and are rewarded with badges and certificates in assembly. World Book Day provides the girls with exciting opportunities including author visits and creative writing workshops. As well as celebrating academic achievement, we provide opportunities for students to see the relevance of English in the wider world. We achieve this through a range of clubs and activities, run at different times during the school year. Debate Club runs at lunchtime and is very popular with all year groups. Wide-ranging issues are tackled enthusiastically. Presentation skills are developed in this supportive forum and it is fantastic for students to develop their confidence in engaging with such important matters. Those that attend Debate Club gain the opportunity to visit the Palace of Westminster and see MPS debate in the House of Commons or Lords; they also take part in an educational workshop. Many of our students have taken part in the ‘Youth Speaks’ Public speaking competition held by the Rotary and we have had successful teams reaching the semi-final of the Regionals. We invite our talented writers in each year to attend this exciting club, which provides girls an opportunity to express themselves creatively in a number of different forms. Competitions are entered and girls are often successful. (provide link to newsletter rotary item). The News and Current Affairs Club is run by Mrs G Roberts, who was a journalist prior to entering teaching. It provides students with knowledge and understanding about current affairs as well as the chance to write reports and gain knowledge of the journalism world. In Year 9, students get together to plan, prepare and publish a web page or full news report on a chosen news topic. Publication is on a nationwide BBC format in mid-March.